Code Indigo Concert news – E-Live with Tangerine Dream, 2nd concert. Due to a combination of circumstances, there has been a change to the previously advertised Code Indigo farewell concert dates and a second concert at E-Live featuring Tangerine Dream. Code Indigo will now perform 2 concerts in Holland at the E-Live weekend on 21st & 22nd October 2017, ie the all day Saturday festival headlined by Tangerine Dream, and a second event at the same venue on the Sunday, also featuring Tangerine Dream. So if you missed the opportunity to get tickets for this years E-Live in Oirschot, Holland, which sold out very quickly, don’t delay in getting a ticket for the Sunday performance because tickets began selling quickly on the first day Groove announced the second concert! 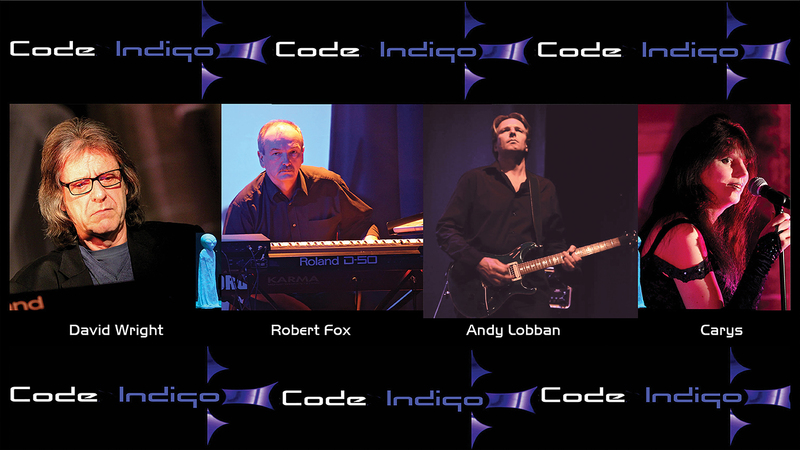 Unfortunately, the 4th November UK Liphook concert has now been cancelled and Code Indigo will instead perform their last UK concert at the annual AD Music E-Scape festival in Halesworth, Suffolk, on 2nd June 2018. Tickets will be available very soon along with news of the E-Scape 2018 line-up. One of the reasons for the cancellation of the Liphook event is because Robert Fox is due to undergo major back surgery and it is unlikely he would be available for the Liphook concert. As Liphook was always Code Indigo’s UK farewell concert, I’m sure you will understand our reluctance to continue planning it without Robert Fox’s input. Given all the other circumstances as well, it made sense for Code Indigo to perform their final concert at E-Scape in 2018, allowing Robert plenty of time to recover. We can also announce that Stephan Whitlan will be joining Code Indigo as the 3rd synth player for these concerts, so as to present a line-up more in keeping with the original 3 man synth plus guitarist and vocalist line-up. So the full line up is David Wright (synths), Robert Fox (synths), Stephan Whitlan (synths), Andy Lobban (Guitars), Carys (vocals & synths).